Channel smart looks in your casual wardrobe with this shirt dress from 109F. Made from good quality fabric, it will provide you with immense comfort throughout the day. 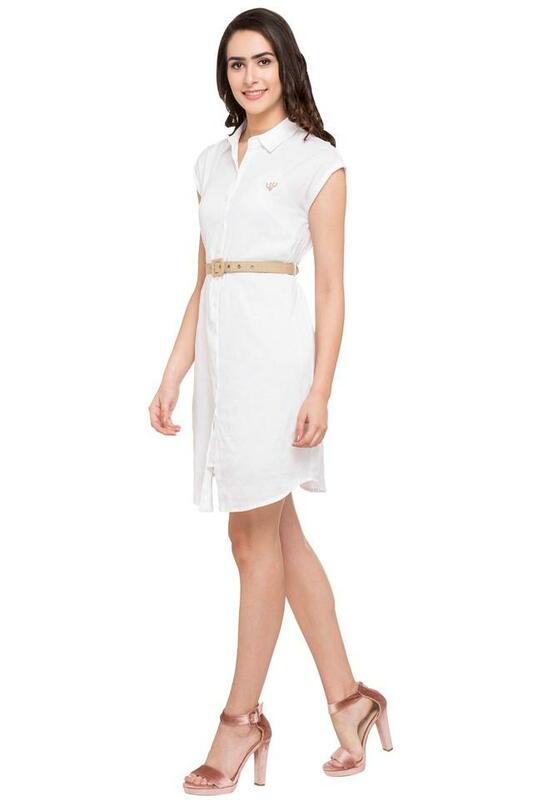 Featuring a collar, cap sleeves and solid pattern, this dress possesses a fashionable appeal. Redefine your style statement by wearing this beautiful shirt dress while heading to casual occasions. You can wear it with a pair of block heels to complete your look. I have tried the same dress from stores the material was very good. Not satisfied.